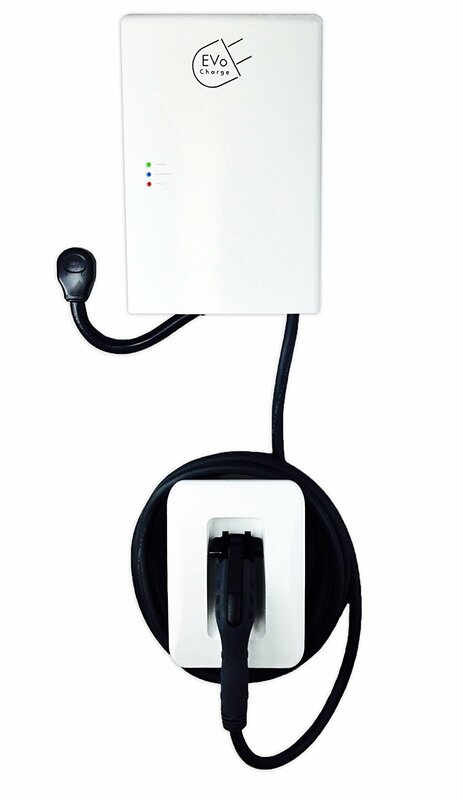 The 30A EVoCharge EVSE is one of the most convenient 30A Level 2 (240VAC) EV chargers on the market. 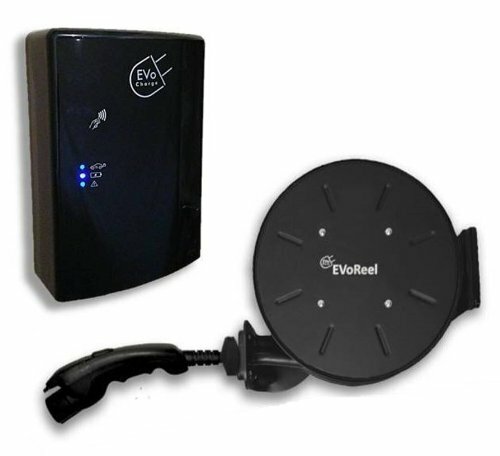 The simple no-touch operation allows you to plug-in to your electric vehicle and walk away. When your charging session is complete, a convenient J1772 cordset holster – designed to keep the cable off the ground and to properly stow the vehicle connector – can be utilized. This unique feature prevents connector damage and trip hazards. 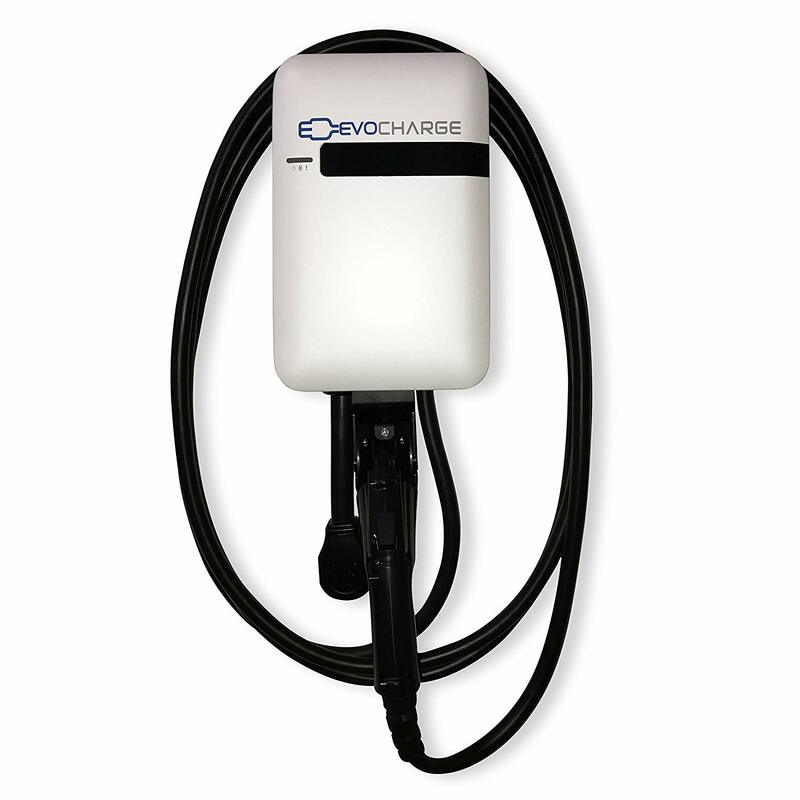 The EVoCharge 30A EVSE includes a 2 Year Warranty, is rated for outdoor use, and is UL Safety Tested and Certified (US and Canada). 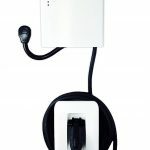 Installation of the 30A EVoCharge EVSE is simple, consisting of securing (4) screws – (2) for the charger bracket and (2) for the cordset holster bracket – into a structure such as a wooden wall stud (the mounting holes are inline) or a pedestal mount available from EVoCharge. The charger then simply slides onto the charger bracket for a secure installation and can be easily removed for portability. In addition, the supplied security screw allows for a secure connection to the wall bracket. The unit comes standard with a NEMA 6-50 plug which can easily be removed for hardwire installations. A convenient ON/OFF switch is located at the bottom of the charger to allow for the unit to be turned off when not in use in order to save energy.